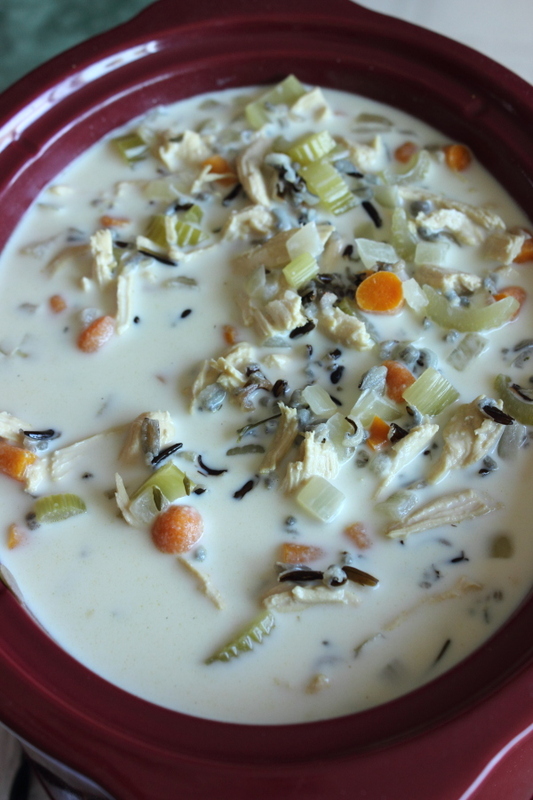 You are here: Home / Crock Pot / “Creamy” Chicken Wild Rice Soup and Crock Pot Giveaway! It’s time for our 2015 Christmas Giveaway! We have decided to give away a crock pot this year, since it is such a versatile kitchen tool. 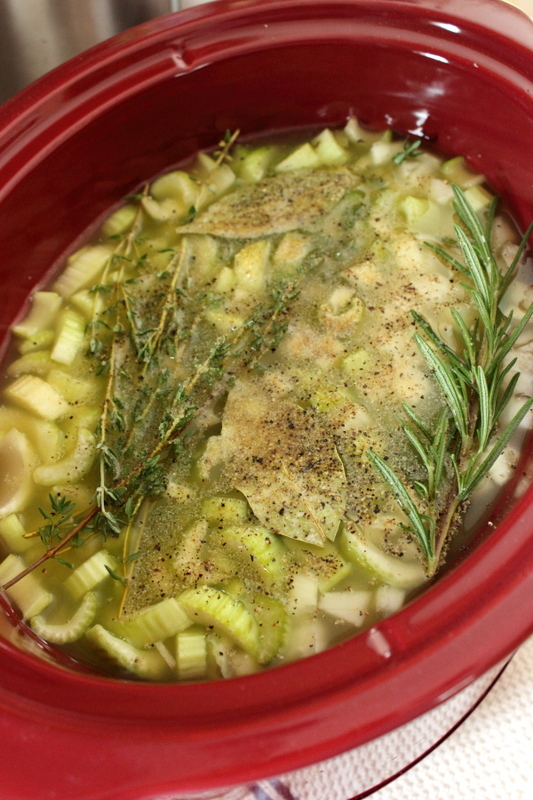 We love our crock pot, and use it the most during the cold months of the year. It is so nice to come home and have dinner ready to go. We will be bringing you some great recipes to make in a crock pot, along with some awesome sides, like biscuits and muffins. So enter the form below, and let’s make some stuff in the crock pot! The contest starts today and will run until December 19th at 12:00 am. We will announce the winner that Saturday morning. You are agreeing to our Terms and Conditions by entering the contest. 2. 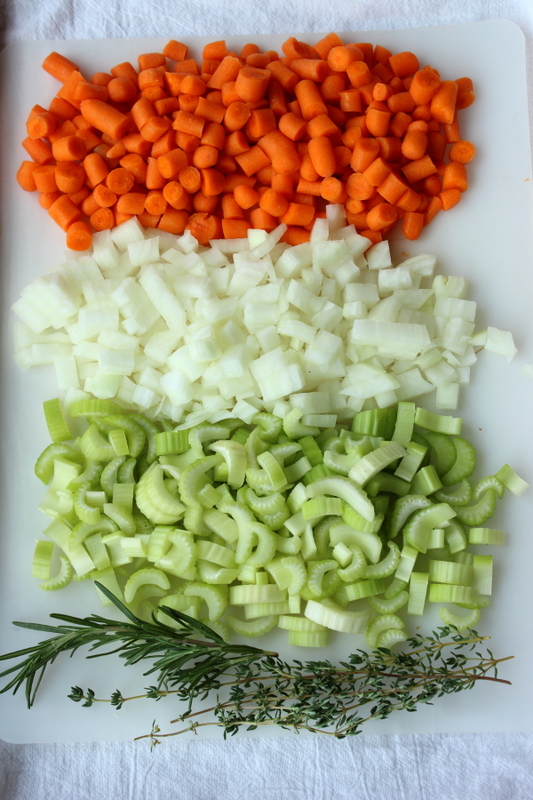 Add the celery, onions, carrots, chicken broth, rosemary, and thyme, salt and pepper to a crock pot. Cook for 4 hours on low. 3. Add the whole chicken breasts and cook for 1 hour. Remove the chicken and shred it. Set aside. 4. 2 hours prior to serving, add the wild rice. 5. One hour prior to serving, add the chicken and half and half to the crock pot. 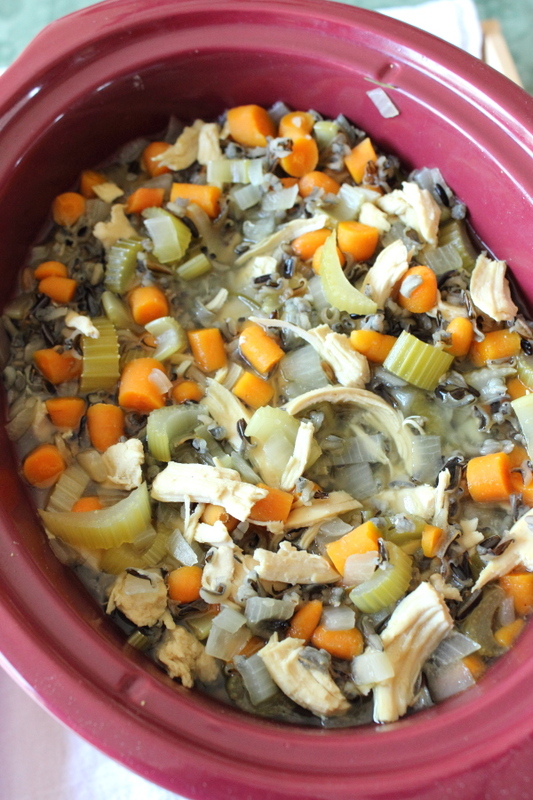 Add the celery, onions, carrots, chicken broth, rosemary, and thyme, salt and pepper to a crock pot. Cook for 4 hours on low. Add the whole chicken breasts and cook for 1 hour. 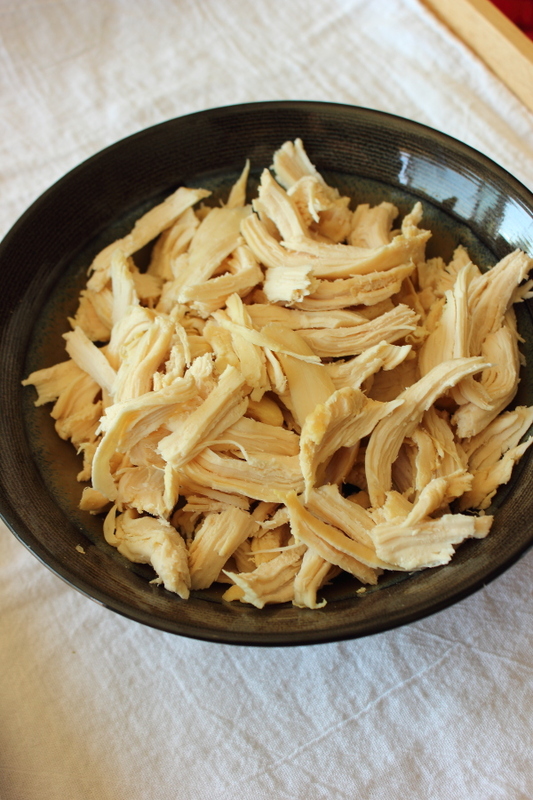 Remove the chicken and shred it. Set aside. 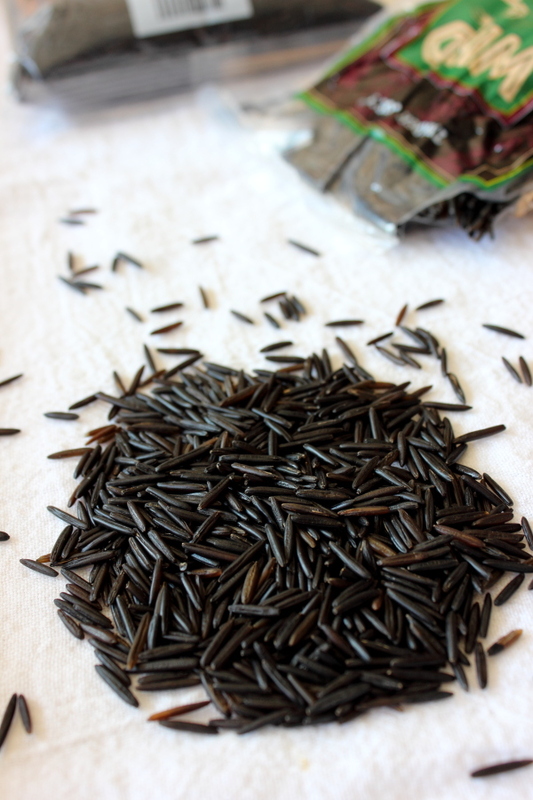 hours prior to serving, add the wild rice. One hour prior to serving, add the chicken and half and half to the crock pot. What’s your favorite thing to make in the crock pot? Let us know in the comments section! This looks so good! I am going to make it tonight! My favorite thing about cooking with a slow cooker is the one pot cleanup! 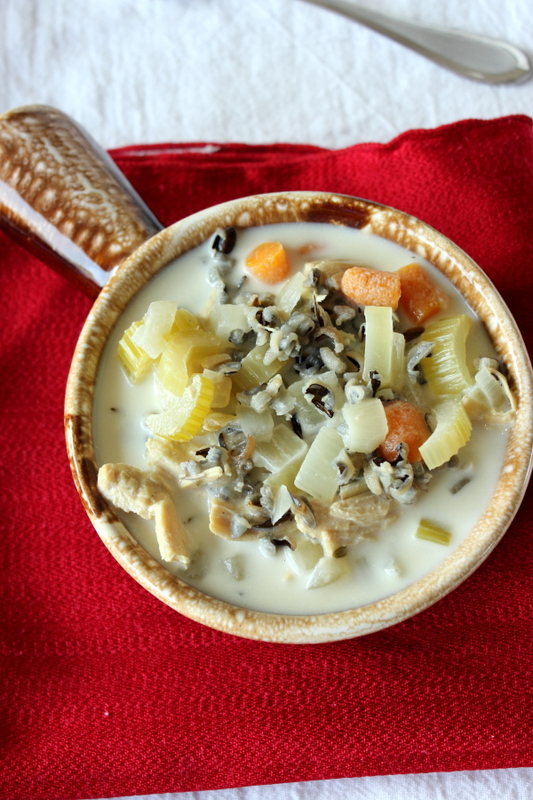 My favourite thing about cooking with a slow cooker is the variety of things you are able to cook from soups to desserts. It’s really amazing what such a simply kitchen appliance can do for you. I love to cook pulled pork! Thanks! I’ve never cooked with a slow cooker but I like that it seems to be low clean up! I love cooking with a slow cooker for a few reason, first I can turn it on in the morning & when I get home from work, dinner is made! Also no time to clean up, as the food is always moist! My favourite thing about cooking in a slow cooker is convenience. I can prep the meal and get it simmering in the morning and walk away. It allows me to get things done throughout the day without having to worry about meal planning or cooking later in the day, especially if I am running late. I like to make beans in the slow cooker. I like that I can put everything in and go and do other chores instead of standing in front of a hot stove. I love the minimal amount of work involved with a slow cooker. I love how you can leave it and go. My favorite thing about cooking with a slow cooker is that I can pop my supper in and leave it to go shopping. I like to cook vegetable pot roasts in my slow cooker because I can start it the night before, and it is done when I come home from work. I love that with a slow cooker you can set and forget which means I can come home to a hot and ready meal. 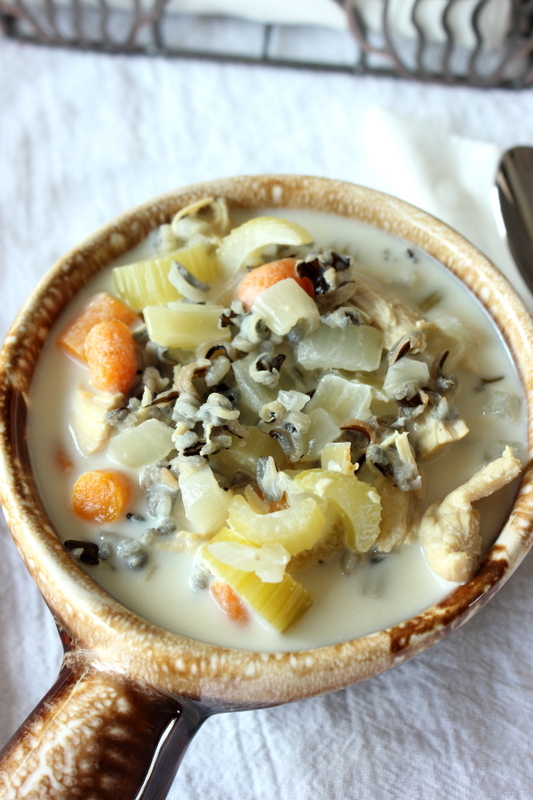 With a slow cooker, I don’t have to fuss over dinner for hours. Everything goes in, hours later, I have dinner. That recipe sounds delicious. We eat a lot of chicken and rice so ill have to try this. Thanks for the info. my fave thing is that after a long day of work, supper is ready. I love all the free time and I have very little mess afterwards! I can leave for the day and come home to a full made meal. I love that I can cook a great meal for my family and multi task to do other things that need to be done for the day. It isn’t exciting or original but it’s good, my favorite is Pot Roast and Gravy in the Crock Pot. It comes out so deliciously tender. What I like about cooking with a slow cooker is that I can have a great home cooked meal and leave it. I love being able to put everything in the crockpot and then let it cook overnight, then I just turn it down on low and we usually have an early dinner. I love that I can put in my ingredients in the morning and then don’t have to think about cooking all day. It’s great! I like that I can put in all my ingredients in the morning, turn it on and then not have to think about cooking all day. I like to make all kinds of stuff in my crockpot. My favorite is chili or cheeseburger soup. My favorite thing about a slow cooker is that all it really helps to bring out the flavors of the herbs and spices I use. I would love to try this soup, but can I use 1% milk instead of cream or maybe 5% cream? 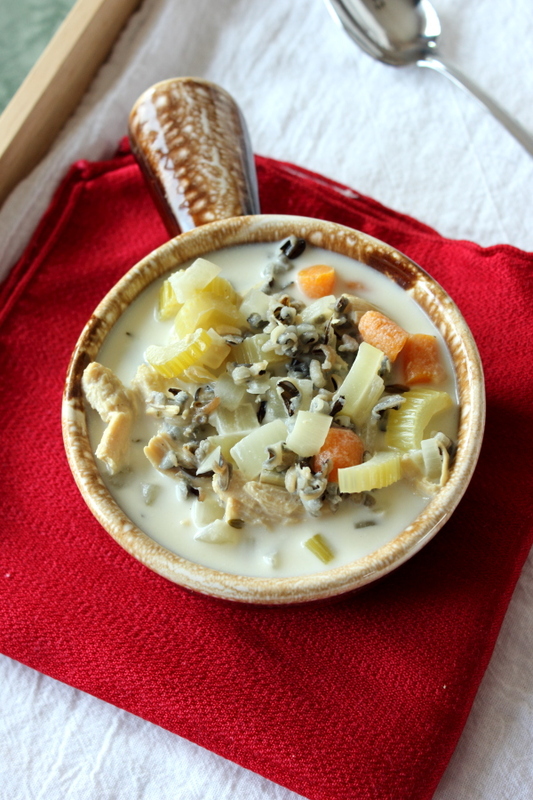 Nothing better than soups and stews in winter…..love the crock pot!